This is a square Hood Tires porcelain sign. 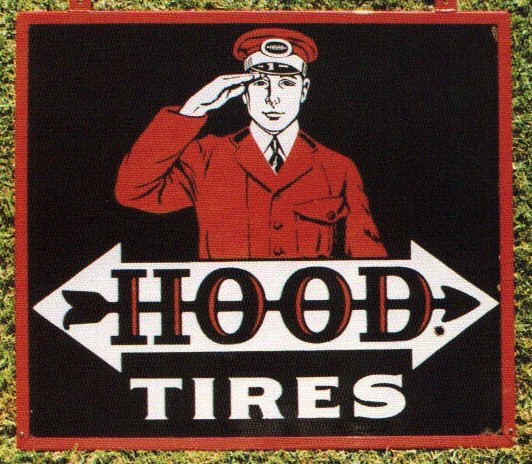 This particular Hood Tires sign features a red uniformed man saluting against a black background. It reads, “Hood Tires” and has a white double arrow at the bottom of the sign.